Proudly made in the USA by expert Amish artisans. Convenient extension leaves can be stored under the table top. 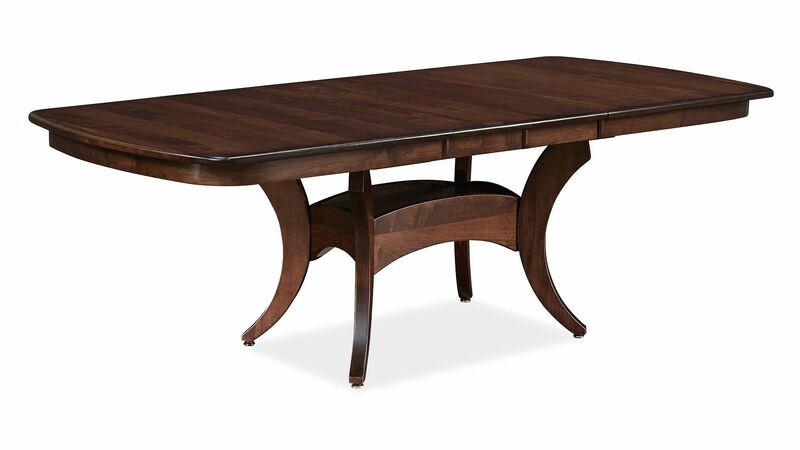 With a soft waterfall design for the edge treatment, as well as a round apron design, this table offers top-quality support. 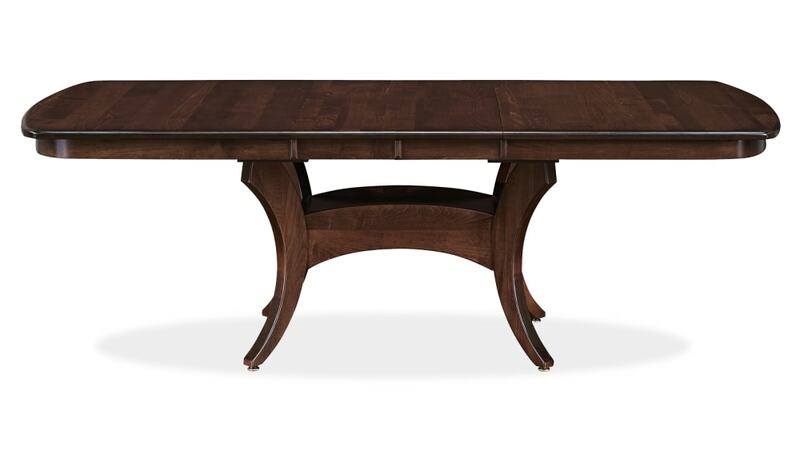 The decorative table base is a split-pedestal style that demonstrates both beauty and stability. 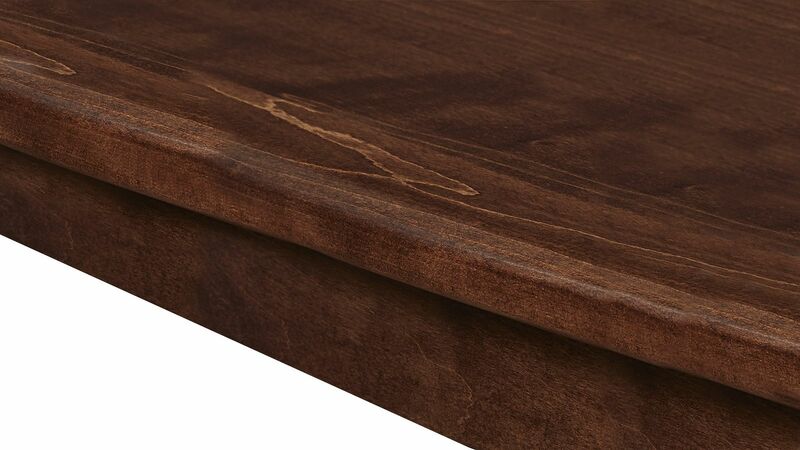 Carefully hand-sanded, under a pleasing finish.